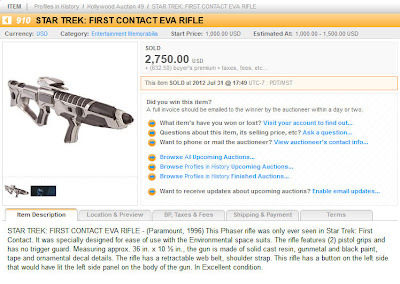 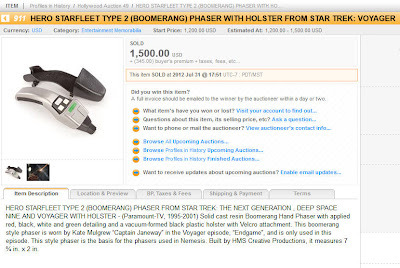 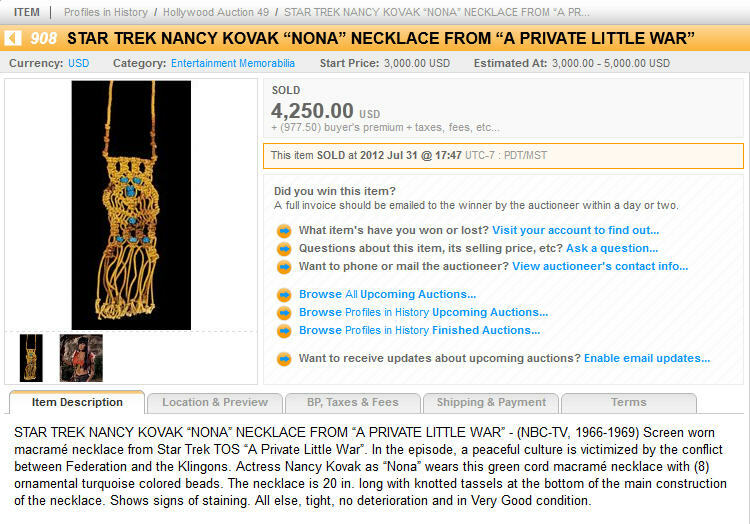 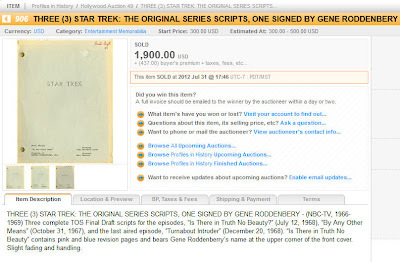 Presented below are the final prices realized for the 8 lots of Star Trek memorabilia that successfully sold at yesterday's Profiles In History Hollywood Auction 49 in Calabasas Hills, CA. 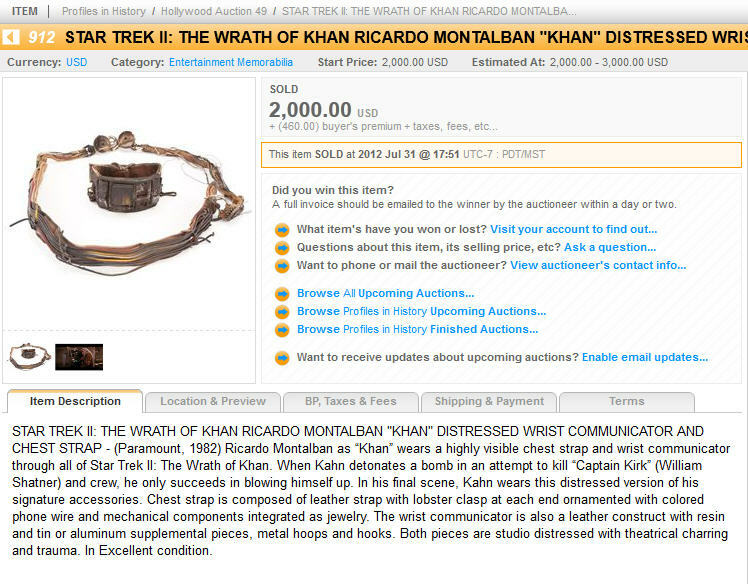 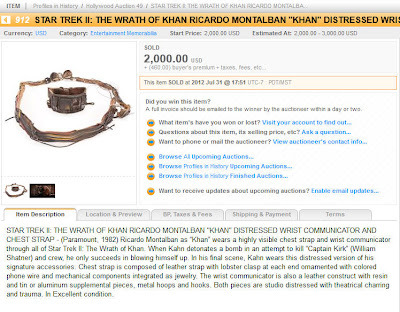 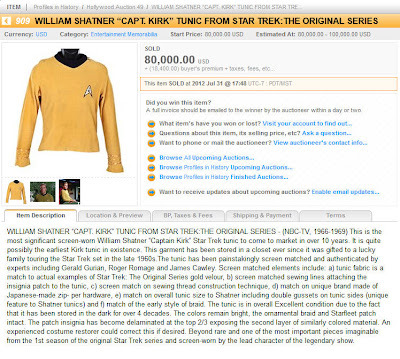 The most impressive results, as expected, were associated with the William Shatner 1st Season Captain Kirk gold velour tunic from Star Trek: The Original Series - which sold for $98,400 (including the 23% or $18,400 buyer's premium); and a TOS U.S.S. 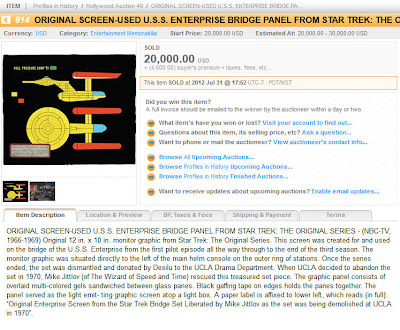 Enterprise Bridge monitor graphic which realized a final price of $24,600 (including the $4,600 buyer's premium). 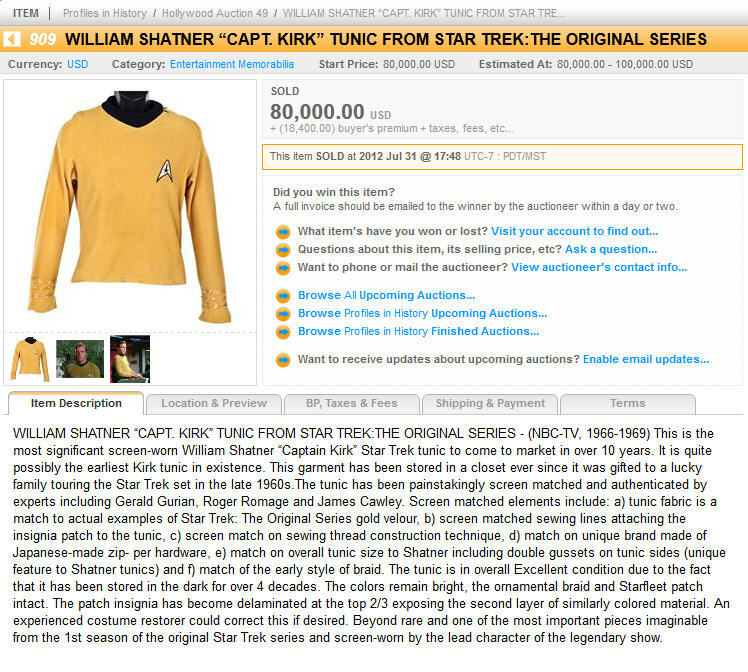 The Captain Kirk tunic easily set a new record price for a William Shatner worn TOS costume; greatly exceeding the $42,500 high bid witnessed in 2003 on the last Kirk gold command tunic to sell at auction - a 2nd season velour. 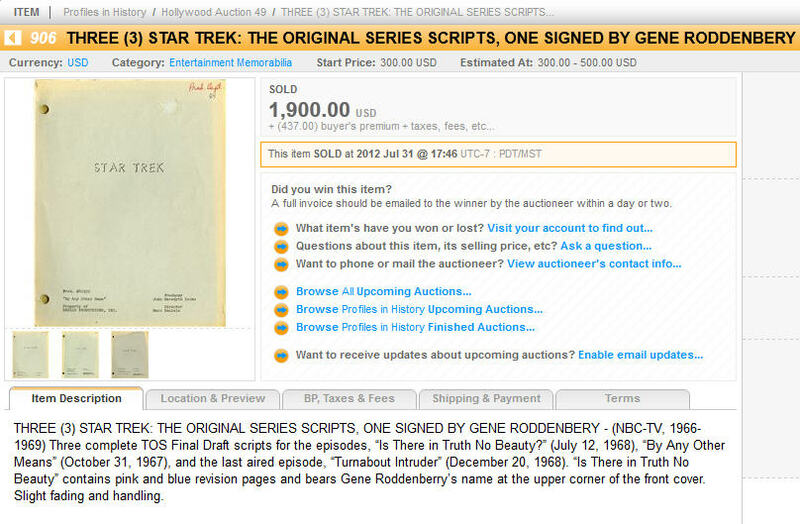 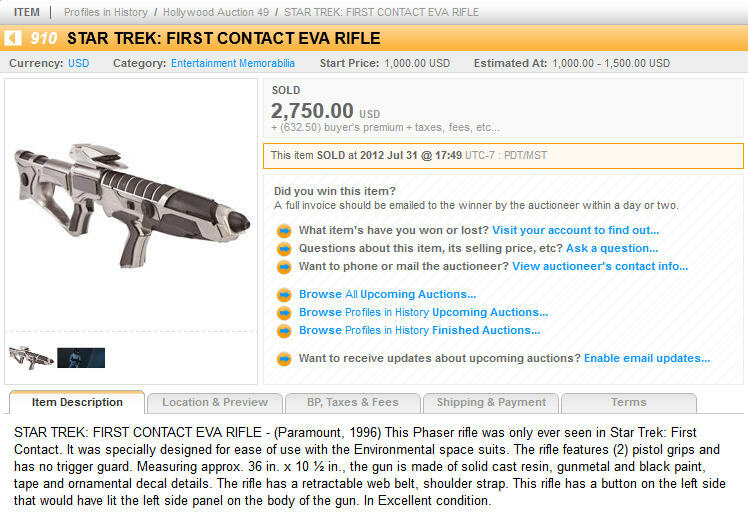 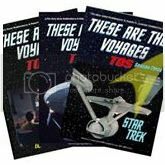 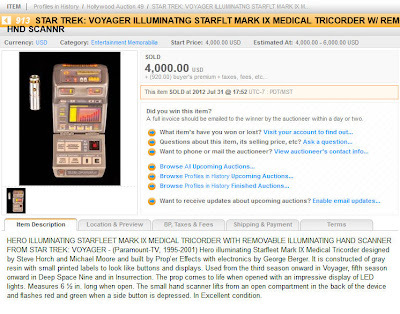 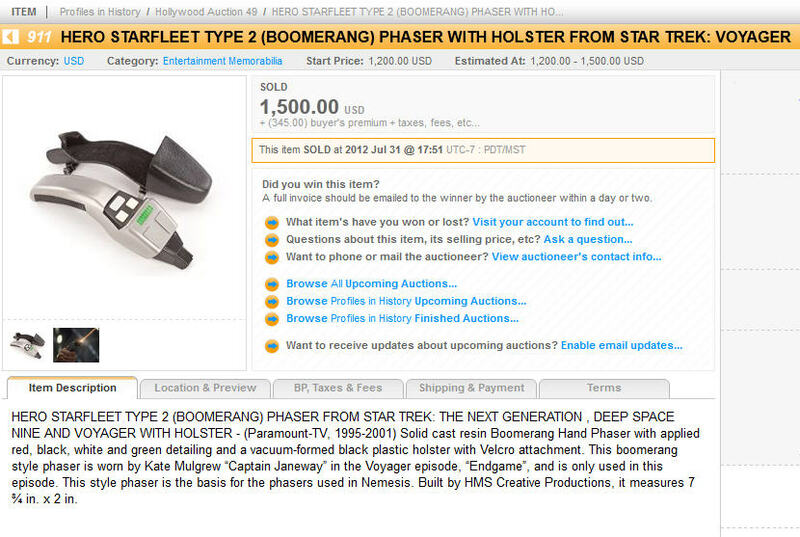 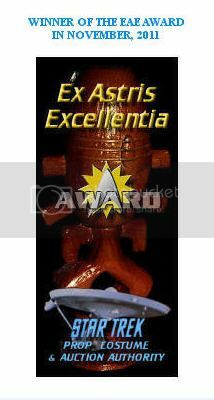 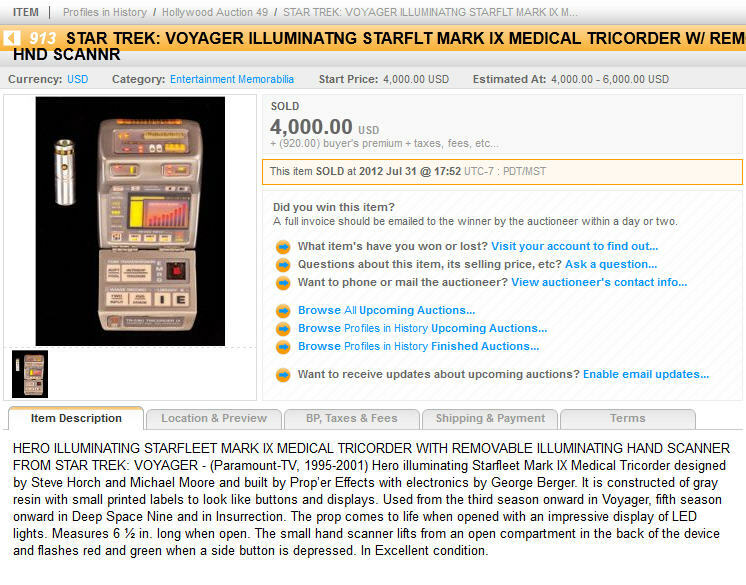 The complete set of Star Trek results from Hollywood Auction 49 are as follows.